The minimalist design of the theme with its well-organized layout definitely brings about a confident blogging experience and is pleasing to the eye. The theme features a dynamic and responsive design meaning your site will run smoothly on any screen size, from desktops down to mobile devices. A unique feature of the theme allows you to adjust the colors and styles of your stories individually giving an enjoyable reading experience. With our customizer, you can easily adjust colors, font sizes, font styles and spacing in various parts of the theme to fit your preference. A .pot language file is provided in the package so you can simply translate the text in the theme into your language. Most code in the theme are cleanly organized so you can quickly find the part you are looking for. The theme also supports a child theme you can use for the customization. We always make sure that all of our themes can run smoothly with the latest WordPress. You can always ask us any questions regarding the use of the themes. 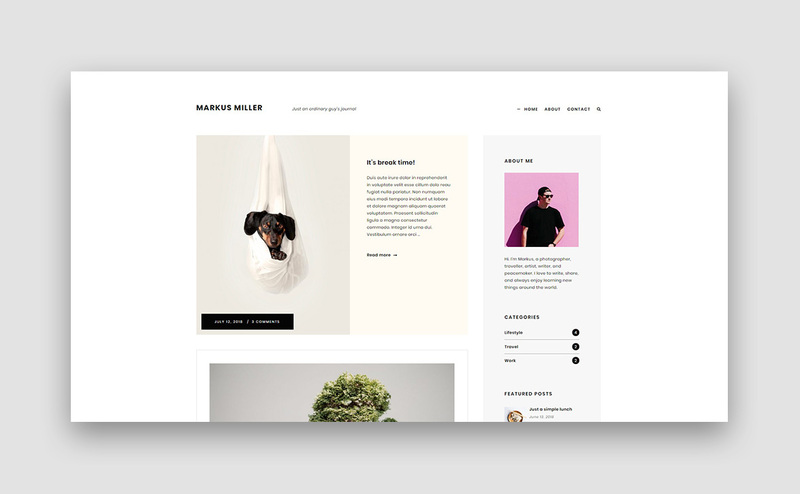 This theme is for self-hosted WordPress sites only (wordpress.org). It is not compatible with "wordpress.com" sites. Subscribe to our mailing list to receive notifications about our new products and news updates in your email inbox. Thank you for subscribing. Please check your inbox for the confirmation message.